When it comes to controlling a big rig with pedals, audio loops, amp switching, channel selection, and basic signal routing, we all struggle with implementing the perfect set-up. There are a number of products on the market that provide individual solutions for each of these specific tasks, and then there are other more advanced products that seek to address a number of these rig control challenges. The Rocktron PatchMate Loop 8 Floor audio switcher provides a solution that addresses all of these challenges in one compact unit. Though we haven’t found the “perfect” end-all, be-all solution yet, the floor version of the PatchMate certainly qualifies as a strong contender considering its long list of functionality coupled with excellent sound quality and ease of use. The Rocktron PatchMate Loop 8 Floor provides just about every feature you would imagine from a controller of this caliber. For starters, the housing construction is definitely road worthy with its heavy gauge steel. Just the feel of the pedal in our hands let us know how rugged it really was. And with high-quality components including gas filled, gold plated contact relays, there was no mistaking this is a well-built floor unit. Eight on-board programmable presets for saving various combinations of audio loops, function switching, amp selection, etc. The PatchMate Loop 8 Floor is powered from an included 9VAC adapter that connects to the unit via a 4-pin DIN connector. We aren’t fans of atypical power connectors as you’re in big trouble should you leave the power supply behind or develop a faulty power supply while on the road. Since manufacture of this component is probably beyond Rocktron’s control, if you’re going to rely on it, we’d suggest carrying a spare if you’re headed out on the road since a typical IEC cable won’t do you any good. Each loop is clearly labeled with large, glow-in-the-dark graphics and numbers, easy to view on both a dim stage or in direct light. The Rocktron PatchMate Loop 8 Floor pedal is extremely easy to use and navigate while providing just about all the functionality you can think of from a floor-based looper product. The setup of the eight individual loops is what makes this unit so versatile. Each loop has the ability to serve as an amp selection controller in a multi-amp setup, amp channel switcher, signal router to an alternate destination (amp, direct to front-of-house, tuner, etc. ), or an independent effects loop. The Rocktron PatchMate Loop 8 Floor pedal provides two options for input and output — Active and Passive. The active path is buffered, and when selected, the PatchMate enables buffers on both the active and passive outputs. This gives you two buffered outputs for signal routing, which could be useful for a stereo rig. From the output point, you would route the signal to a set of stereo loop returns. In using the Rocktron PatchMate Loop 8 Floor pedal as an amp selector, we routed one of the channel loops to choose between a Mesa/Boogie Lonestar amp and a Bogner Ecstasy. We found this extremely easy to configure by routing the Send jack of Loop Channel 1 to amp 1 (Mesa/Boogie) and routing the Out jack of Loop Channel 1 to amp 2 (Bogner.) In this routing configuration, Loop Channel 1 serves as an amp switcher between the 2 amps. In using the Rocktron PatchMate Loop 8 Floor pedal as an amp channel selector, you have the option within each loop channel to use either the Send jack (normally closed) or Output jack (normally open) for channel switching. 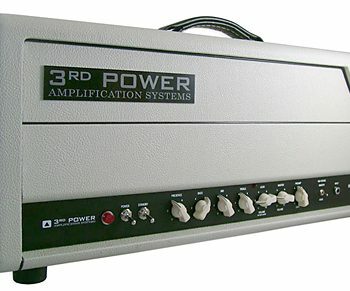 The design of your specific amplifier will obviously determine which jack to use. Having these options on all eight loop channels gives you the ability to control up to eight amp channels. The only drawback is that the loop channels aren’t multifunctional in that if you use four loop channels to control a four-channel head, you’ll only have four channels remaining for use with pedal/effect audio loops. The PatchMate really gave us a lot of flexibility in signal routing and setup. By placing the active and passive input/output in the front and end of the signal chain, you have the ability to route from any given output to any one of the eight loop channel inputs – they don’t need to be in any specific order. The only disadvantage is that you will need to invest in a custom cable kit to customize your specific cable lengths and keep your patchbay as clean as possible. Because each loop is discrete, connecting the output from one loop to the next requires the insertion of a short jumper cable (hence the preference for a custom cabling kit). There is no internal series connection between loops. Once we had all our effects and connections completed, routing some effects to the front of our amp and others to the effects loop, it was time to start programming some presets. We found programming the PatchMate to be very simple and easy to understand. Pressing on the Store/Preset button allows you to then select a preset you want to assign (from the available presets 1-8). We selected preset 1 for this example. At this point, you can engage each loop channel that you want engaged for preset 1 – the LED indicators light up for each engaged loop chanel. Once we selected all the loop channels we wanted engaged for preset 1, simply pressing and holding the Store/Preset button until it blinked stored the preset selection. As with most programmable units, there is a set of secondary switch functions providing additional usability. Most of the secondary function switches pertain to programming external MIDI control setup. Entering the secondary functions was as simple as pressing and holding the Store button until the LED started flashing, indicating we were in MIDI configuration programming mode. The secondary switches provide Channel/Bank (MIDI setup with an external controller), Preset Dump (for saving configuration to an external storage device), Cancel, Stereo Link On/Off, and Changes (to select if you would like the PatchMate to respond to MIDI program change and continuous controller changes or not). Once MIDI setup is complete and you’ve connected the PatchMate to an external MIDI controller, you can program loop channel presets to correspond to each Bank/Preset in your MIDI controller. Rather than being limited to eight presets, external MIDI control gives you the ability to access 128 presets. The only missing functionality was to provide MIDI control over external devices and effects that support it. For example, it would have been great to send MIDI continuous controller messages or program changes to our Eventide Factor pedals when selecting specific presets. With the Rocktron PatchMate Loop 8 Floor, the unit can receive MIDI information via an external MIDI controller, so other devices in your rig can change your audio loops, etc., but sending MIDI commands to other devices was not possible. Hopefully a firmware upgrade in the future could add that functionality. For this review, we used both a Mesa/Boogie Lonestar and Bogner Ecstasy guitar amplifier. For effects pedals selection, we used the following: Keely Compressor, Fulltone OCD, Rockbox Boiling Point, Maxon Chorus, and Eventide TimeFactor. For those tone connoisseurs who have zero tolerance for tone loss, you’ll be happy to know that the Rocktron PatchMate Loop 8 makes an excellent enhancement to your pedal arrangement. First off, having a built-in buffer really helped the signal of the guitar strong without adding any unwanted noise or discoloration of tone. 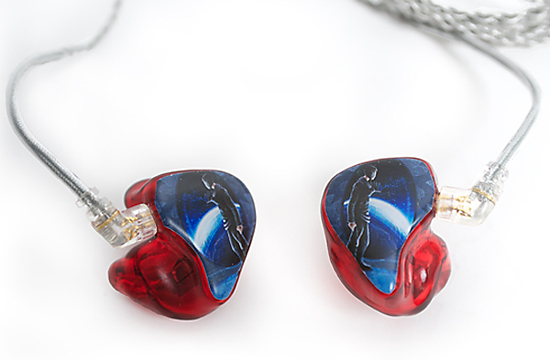 If anything, we noticed an increase in the clarity and definition of our sound. Having grown up on pedals, we were well aware of the effects of tone loss and sonic challenges caused by daisy chaining, a big no-no in our book. Having each pedal assigned to its own individual loop and being introduced independently into the signal path really made a difference – in some cases, the sound of the effect seemed to be better preserved and pure sounding, opposed to chaining effects together and having one pedal degrade the sound of another. From an operational standpoint, when selecting presets and engaging additional loops, the pedal provided smooth, silent switching without any annoying pops or other interfering noises. When using the PatchMate for amp switching, we didn’t experience any issues with ground loops. Rocktron provides a good user’s manual for the PatchMate Loop 8 Floor that includes detailed functional descriptions as well as numerous connection illustrations to get you up and running. Considering the vast amount of functionality packed within this pedal, we found ourselves referencing the manual quite often for direction, especially in areas where the switches provide multi functional options. Product Support can also be found on the Rocktron website. Rocktron not only provides a customer support line and online chat, but also provides personal points of contact with telephone and email information for specific support areas such as artist relations, regional sales, and technical support. The Rocktron PatchMate Loop 8 Floor (MSRP $449) can be found for approximately $330 at retail. Considering the broad range of functionality provided in this unit and tour-worthy construction, we find the Rockton PatchMate Loop 8 Floor to be very well priced and less expensive than many similar products. 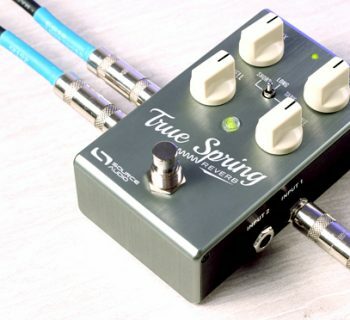 When you consider everything this pedal has to offer – eight independent loops, amp channel switching, multiple-amp switching, active and passive input/output, and the ability to expand through coupling with external MIDI controllers, this is one pedal that certainly provides a variety of uses. Rocktron also makes the PatchMate Loop 8, a 1U rack-based looper/switcher that works with external MIDI foot controllers. If you’ve got pedals on shelves in a rack and have a MIDI foot controller, this nearly identical product is also worth a look.